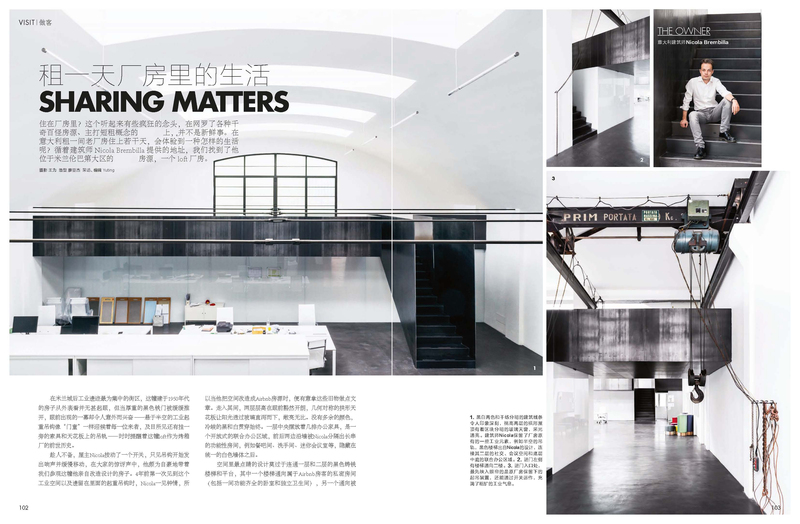 The January 2016 issue of Elle Decor China (Elle Decoration), has a wonderful feature story about our project “Unità di Produzione“. The interview start addressing the details of the architectural renovation then investigates the integration of coworking and hospitality offered by the guesthouse. This activity, recently appointed with the term coworkation (coworking + vacation) is one of the latest innovations in the galaxy of sharing economy. The coworkation is a service offered to people traveling for leisure that can not -or do not want to- log out completely, so they can find in a coworking space everything for remote working. The photo shoot was done specially for the article.